The trailhead has water, bathrooms, etc. The trail starts off shared with other short walking trails and such, then quickly becomes a steep and rocky ascent, with some nice flowing singletrack downhill on the backside before coming back around. The climb is challenging with the steepness and rock gardens all along the path. Other linked trails are the Tom's Thumb trail and the Dixie Mine. You can also take routes all the way out to the McDowell Loop and competivite tracks. 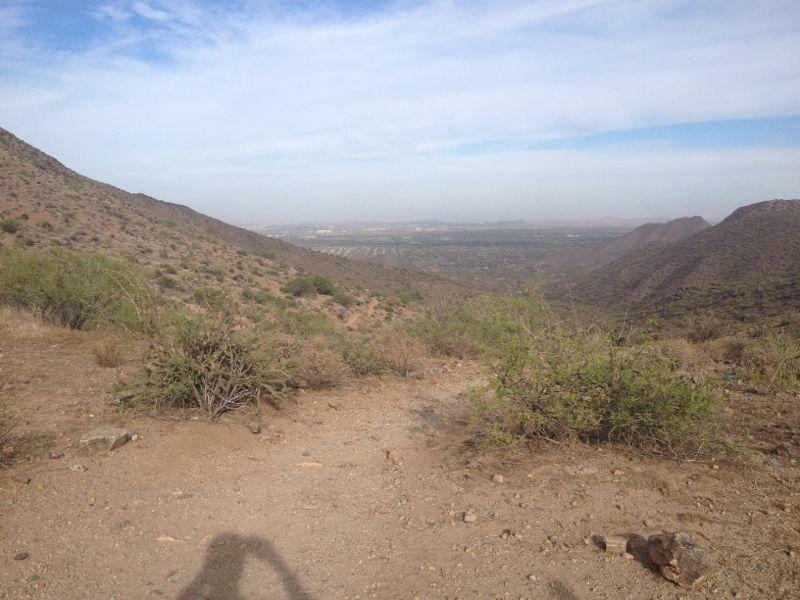 Review: Desert Park Trail is a smooth trail without a lot of climbing. It is a great warm up to Windgate Pass Trail. Once on Windgate Pass the climbing and rocks begin. This trail reminded me of Belcher Hill at White Ranch outside of Denver. I was using a rental bike and had a hard time getting into a rhythm for the climb. I turned around at Windgate Pass and really enjoyed the downhill. It was rocky and fast. Good idea to have a dropper post. I turned onto Gateway to extend the downhill and it was very similar to Windgate. This trail system is very well signed at every intersection so even a tourist like me would have a hard time getting lost. Review: I actually stayed on Desert Park Trail most of the time. It is a pretty good out and back. Double and single track. I stopped basically at Troon, but you can take this all the way around to Gateway Loop on the backside of the mountain. This was pretty fun and a blast coming back down the mountain. Beware patches of deep gravel and a couple of thick rock gardens near the washes. Phoenix Mcdowell / Wingate Pass / Bell Pass MTB Trail 2.33 out of 5 based on 3 ratings. 3 user reviews.